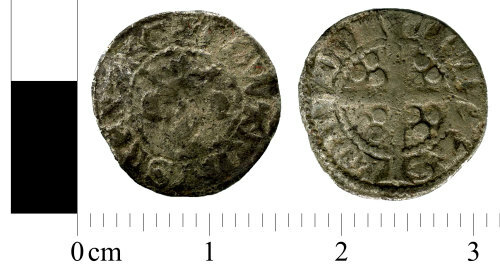 A medieval silver halfpenny of Edward II. Mint of London. Withers class 11-13. Dating c. 1310-1314. Obverse description: Crownrd bust facing.